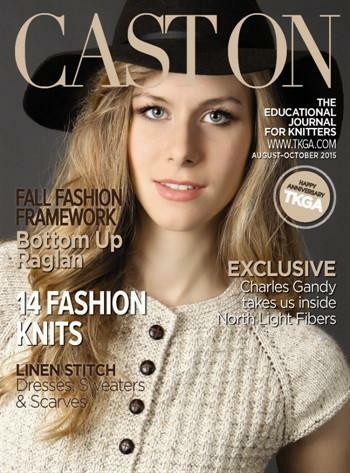 Since 1984, Cast On has been the quarterly educational journal for knitters, available to all members of TKGA. As we move to a digital only version in Winter 2016/2017, we are excited to continue bringing you content like Stitch Anatomy, Fashion Framework, Finishing with Confidence, and On Your Way to the Masters. We’re adding two new features: Skill Building, which will have a Confident Beginner pattern, and a Pattern from Our Members. We’ll continue to have articles on knitting techniques and traditions. We’re also adding more content for machine knitters. Monthly, all members will receive K2TOG, our new newsletter. All TKGA announcements will be made here as well as technical and human-interest articles. We plan to provide reviews of podcasts, blogs, books, and more. We will have tips and technical articles you won’t find anywhere else, except from our experts. Look for free patterns, links to helpful videos and much more. If you are interested in designing or writing for Cast On magazine, you can find our specifications and fees here.